The YewdaleKestrel® K9500 flexible window curtain track has been developed in response to UK Government requirements and is constructed from a specially formulated plastic which is lightweight and strong. It utilises self-lubricating gliders for ease of use in all hand-drawn curtain applications. Tests have shown that for anti-ligature purposes, it is most important that the complete track collapses leaving no point of ligature. Even where a fixed track provides no ligature points, heavy weights can be suspended from the curtains which in turn is a serious potential risk. With the K9500 the track and curtain together will part from the YewdaleKestrel® brackets under abnormal load and can then be simply and quickly reinstated. 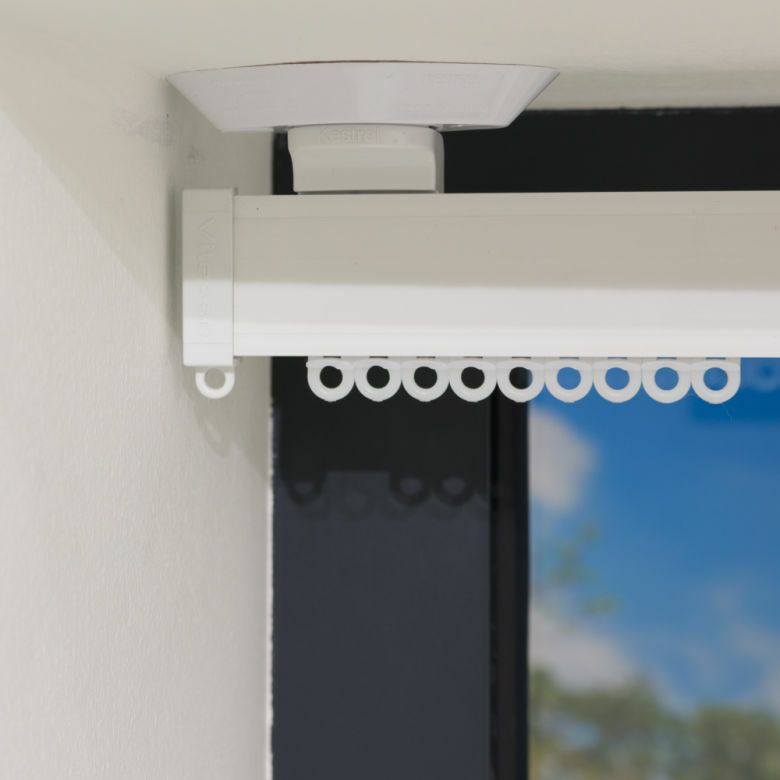 Only for use with lightweight curtains and where the risk of violence precludes the use of the standard K6200 aluminium track. Developed from a specially formulated plastic construction the K9500 is specially designed to be flexible enough to prevent its use as a weapon by prisoners or violent psychiatric patients. It is also shatter resistant to reduce the risk of sharp edges if deliberately broken. 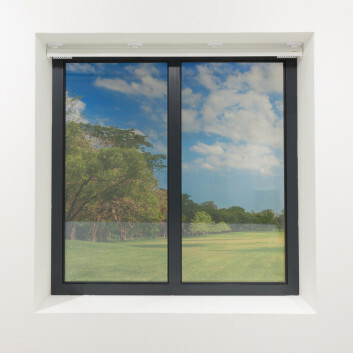 Suitable for lightweight curtain usage, and an excellent alternative to aluminium tracks when the threat of violence restricts usage of metal products. 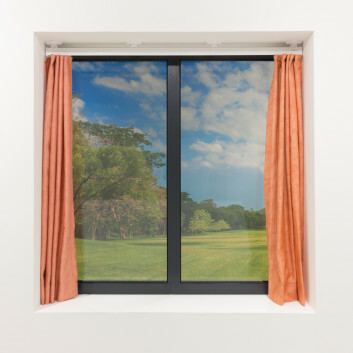 Offering both wall-fix and top-fix options to blend in well with any environment whilst remaining pleasing to the eye, this white flexible plastic window curtain track with special low friction gliders satisfies the most demanding of environments, whether it be residential or commercial. Secured by magnetic brackets for 100% fail-safe anti-ligature functionality and in use in many mental health environments worldwide. 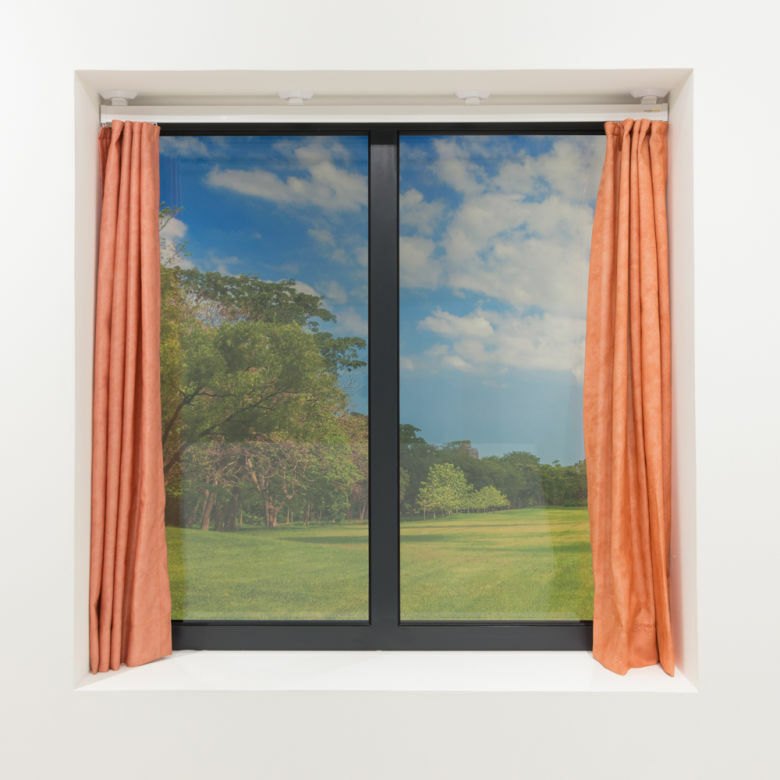 The magnetic anti-ligature YewdaleKestrel® K9500 flexible hand drawn window curtain track as manufactured by Yewdale, +44 (0)1268 570900. 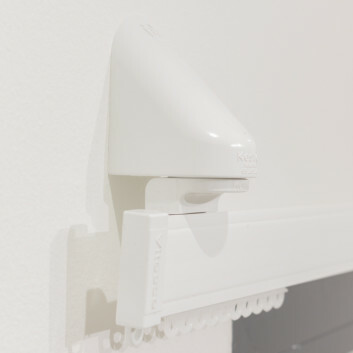 White plastic track of special flexible plastic formulation complete with gliders at 16 per metre and magnetic wall-fix or top-fix brackets as necessary, spaced in accordance with manufacturers recommendations. Fitting to be carried out by trained and accredited personnel. It is an NHS Estates requirement that items suspended on load-release support systems should be maintained and load-tested in accordance with the manufacturer’s instructions on an annual basis. 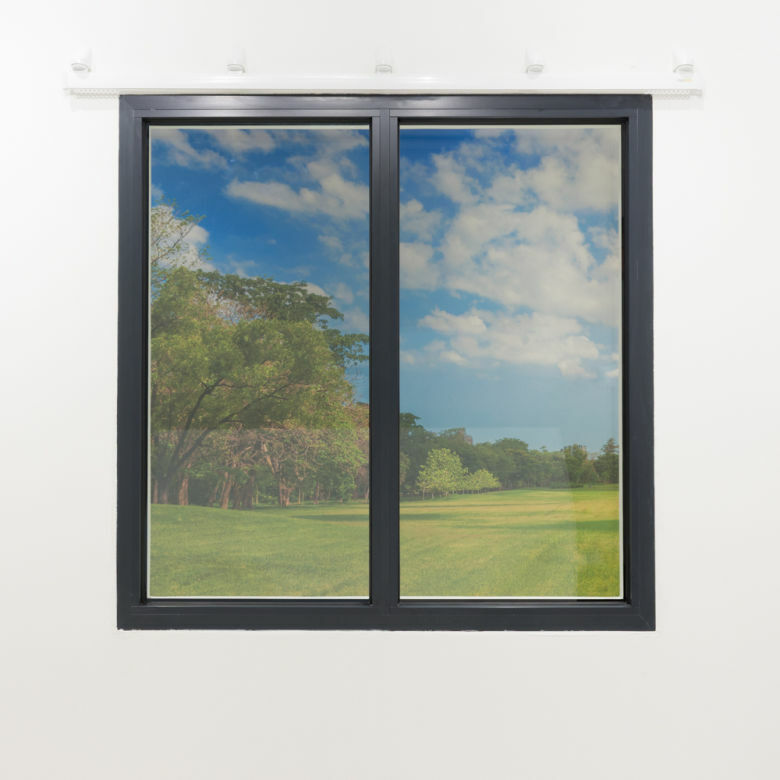 The YewdaleKestrel® system is maintenance free and its performance remains constant even after repeated use. 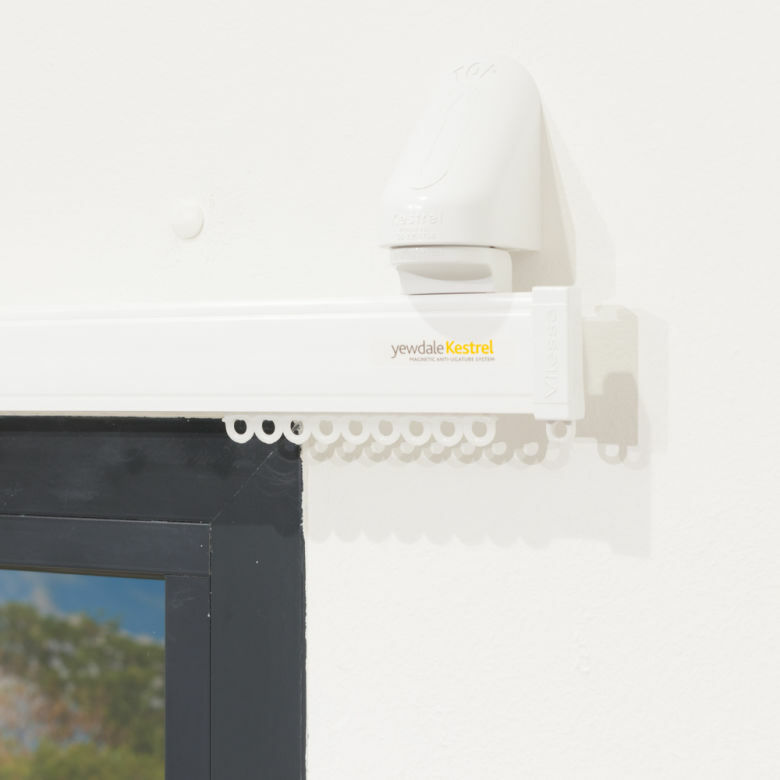 It is a requirement, however, to carry out a physical inspection of YewdaleKestrel® fittings to identify any possible damage or evidence of tampering. Sensitive electronic equipment may be damaged by proximity to a magnetic field and should not come within 150mm of the underside of the brackets. Any load-release device, by its nature, may cause damage when operated. Articles suspended from the YewdaleKestrel® magnetic anti-ligature system will come down when pulled. YewdaleKestrel® products are designed as standalone products only. 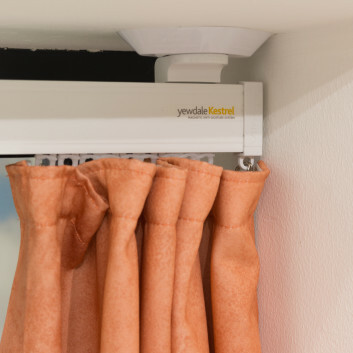 Care should be taken when assessing or arranging a room to ensure that YewdaleKestrel® products cannot be misused in conjunction with any other item, furniture or fixings in the room. It is the responsibility of the end user or client to ensure the product is suitable for the environment it is being installed in. 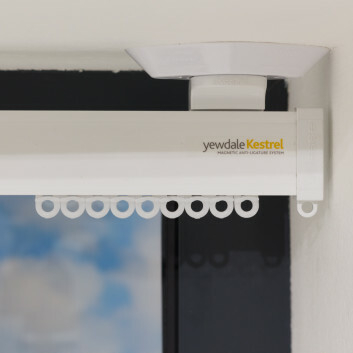 YewdaleKestrel® products must be fitted by a qualified professional following the manufacturer’s instructions. Failure to do so could jeopardise the product’s effectiveness as an anti-ligature system.